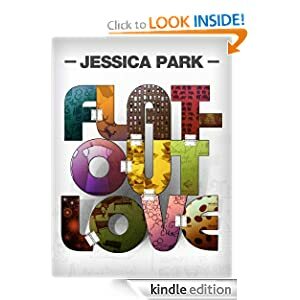 I just finished reading Flat Out Love by Jessica Park. I related to the main character, Julie, in so many ways. We both went to college in Boston, have a fear of elevators, and found love on Myspace. I loved how she wanted to help out the family that took her in when her college housing fell through, and her guidance for the little sister was very sweet. For some reason, the person I pictured in my head for Matt, the friend/brother of the house, is the kid who plays Robby on Victorious….I guess because they’re both geeky cute. Anyway, I would definitely recommend reading this book! I got it for free through the Kindle Lending Library, but it’s worth purchasing it if you don’t have Amazon Prime because it’s a funny, heartwarming story that anyone could enjoy. Logan is the lead singer of the band in my Young Adult novel, Merch Girls. He is also the main love interest for my main character, Lacey. He’s almost 20-years-old, interned at a record label in New York City and is an all around hot as hell rockstar. And he’ll always be a Boston boy at heart with his love for the Red Sox. I’ve been reading a lot of other self published author’s blogs lately, and in spite of all the hard work they had to put into their books, it sounds like it was well worth it in the end to self publish. I’m not looking to make millions, I just want my story to be heard. I’m still slightly on the fence, but I think I will self publish my Young Adult novel sometime in the next few months. It takes guts to put yourself and your work out there to be read, reviewed and criticized, but I think the good (especially having people enjoy your story) outweighs the bad in most cases. 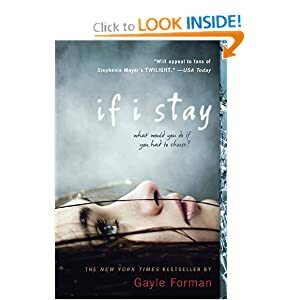 I just finished reading the book If I Stay by Gayle Forman. It was an extremely unique concept in that it’s told from the point of view of someone in a coma who can see and hear everything that’s happening around her. I enjoyed the flashbacks of her relationships with her family, best friend and boyfriend, and the struggle she faced. I thought it was a great book, not the best book I’ve ever read, but something different and I breezed through it in about 2 days. I would recommend it to anyone who enjoys contemporary young adult fiction. I did see that there is a sequel so I will definitely be reading that one next!